What Exactly Is Your Dream Websites? So the website for the Your Dream Websites system leads you towards believing that the whole thing has been setup by an expert at making money online named Jake & in the video you’re presented with on the website Jake claims that he’s going to set you up with what he calls an “instant profit site”. So what’s the truth about Your Dream Websites? Can you really make money with it or is it just a big scam after all? Well the truth is that technically you could make money with it – but the likelihood is that you won’t. Instead you’ll be much more likely to find yourself spending more money than you ever manage to make – and Your Dream Websites could end up costing you HUNDREDS of dollars, not just $97. The reason I can say that so confidently so soon is because the Your Dream Websites system is actually just a re-hashed version of the Instant Profit Sites scam that also recently launched – hence the title of the Your Dream Websites video on YouTube. How Does Your Dream Websites Work? You’re promised that you’ll be making around $1,000 per day right from day 1 but that ain’t gonna happen, in fact you’d be lucky to make as much as one single dollar as a result of purchasing Your Dream Websites. In return for $97 you’ll be treated with access to the program but that’s it. The $97 is literally just an “access fee” and if you think you’ll be getting the full program for that fee then think again, instead you’ll just find yourself getting hit with a bunch of additional upsells as soon as you join. All of the upsells promise bigger & quicker riches but of course they all cost more money. You’re essentially led to believe that you’ll need them though in order for your success in the program & so you’ll find yourself heavily pushed into purchasing them. So before you actually get proper access into the program you should first expect to see yourself spending hundreds of dollars, but to save yourself that hassle if you haven’t already joined then please don’t. The reason I say that is because when you do finally get access to the so-called “profit-getting website” you’ll be left to find out that it’s basically just a low-quality computer generated site & that it’s the exact same website that’s getting given out to EVERY other member who joins the system. And if that alone wasn’t bad enough you also have to pay for the web-hosting yourself too & this is where the second part of the scam lies. I recently published a blog post showing you that it’s possible to easily setup a money-making website for free, yet the creator of Your Dream Websites states that you’ll need to purchase some really expensive web-hosting to host it. The reason he says that though is because he’s getting paid commissions from the web-host for getting you to sign up so he’s basically found the most expensive web-hosting company he can find. Don’t listen to him & don’t sign up. Instead check out my guide & see how you can get started for free – no payments whatsoever. The whole concept is that the site Jake builds for you will be filled up with affiliate marketing links – so this basically means you’ll be setup to earn commissions if anybody clicks those links and makes a purchase, that’s how affiliate marketing works. And whilst affiliate marketing in itself is a legit (and very good way to make money), Your Dream Websites is not going to truly help you profit with it. Instead you need the help of a proven, legitimate program like Wealthy Affiliate – which is actually free to join. The reason Your Dream Websites won’t help you to make money is because it provides you with a duplicated website. Search engines like Google, Yahoo & Bing hate duplicated websites & they don’t list them within their results. This means you won’t get any visitors to your website from those search engines & search engines happen to be one of the biggest & best free sources of visitors when it comes to marketing online. Without those you’ll find yourself struggling to get people to the website & as a result no people means no money. After all the way you will be making money is by getting people to buy stuff via your site, so if there’s no people there’s no sales which means no commissions. Paid advertising is the route that the creator of Your Dream Websites will try & push you down but this is a bad idea. This means you’ll have to use your own cash to promote the site & I can tell you that it takes a LOT of tweaking (and expert knowledge) to build a profitable campaign. All the while you’ll be burning through your cash – and I’ve seen people lose as much as $10k without ever managing to see a profit through paid ads… It’s super risky & it’s a very dangerous route if you’re totally new. Basically you need visitors from search engines, but you won’t get those with Your Dream Websites – so give this system a wide berth and like I said above in this review just join Wealthy Affiliate instead where you’ll learn how to get started properly. It’s there that you’ll truly learn how to make good money online (without having to have a crazy advertising budget behind you). Yep, you read that right – over $500,000 (probably WELL over $500,000) is what the creator has already made from this scam since it first launched, and the reason I know is because of the YouTube channel hosting the videos. These videos are unlisted & are only supposed to be viewed by members of the system – yet as you can see some of the videos have over a whopping 7,000 views. So given that each member must have paid a minimum of $97 to access the videos (and likely much more) if we multiply $97 by 7,000 we get a whopping $679,000 and that is an estimation of what the creator has likely made from the scam to date. But if we factor in all of the other stuff like the upsells & hosting it is probably somewhere in the millions! 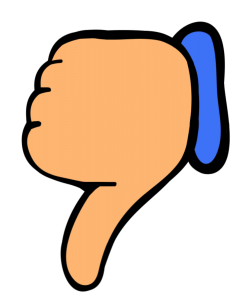 My Verdict – Is Your Dream Websites a Scam? Yes, there’s no doubt about it – as far as I’m concerned Your Dream Websites is a flat-out scam. I mean sure, yes you get access to a “done-for-you website” on the other side but there’s no way it’ll see you making anything close to $1,000 per day & so therefore I believe the whole thing is completely misleading. In my opinion the whole thing has just been setup to make the creator wealthy at your expense & it’s quite clear to me after working full-time online for several years that he doesn’t really care about your success whatsoever. 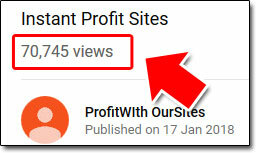 I mean the method itself is sound, affiliate marketing is a great way to make money & like I mentioned earlier in this review you can start for free with it over at Wealthy Affiliate – but Your Dream Websites is NOT the place to start. All you’ll get access to is a “copied” website and some extremely basic training on how to promote it, unfortunately though the website you’re provided with will likely never see any visitors & as a result it’s unlikely to make any money. So overall I recommend you steer clear of Your Dream Websites & instead check out my free guide for getting started. There’s simply no way to pay $97 for some BS system that doesn’t even tell you how it works until you hand over your cash. Oh and as well do be sure to check out all of these other great ways to make money online too. Ultimate Retirement Loophole Scam or Legit Income On Demand?